Before the onset of some odd symptoms in our four-year-old, Ava, the only "bradys" that I knew of were the Brady Bunch. I heard the term "tachy" and assumed that someone had mixed plaids and stripes or was wearing white shoes after Labor Day. It turns out that "brady," which is short for bradycardia or a slow heart rate, and "tachy," short for tachycardia or a fast heart rate, are symptoms of cardiac problems. I was also completely unaware that a "normal" and healthy heart could be the cause of severe cardiac problems, but such is the case with autonomic dysfunction, also known as dysautonomia. 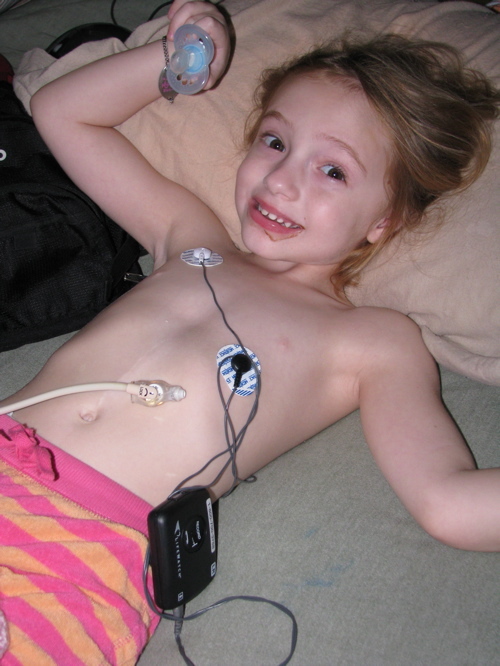 In Ava's case, her autonomic dysfunction is a result of mitochondrial disease. Ava was diagnosed with a mitochondrial disease in May 2009 after a fresh muscle biopsy confirmed the only likely cause for her odd constellation of symptoms, which spanned several body systems: gastrointestinal, muscular, developmental, and neurological. Mitochondrial diseases can affect any system in the body, as mitochondria are present in all cells except red blood cells, and can cause damage to cells of the brain, heart, digestive tract, muscles, kidneys and the endocrine and respiratory systems. An affected person's symptoms depend largely on the concentration of diseased mitochondria in each cell, but one symptom that seems to be quite widespread is autonomic dysfunction. The autonomic nervous system is the part of the nervous system that controls many automatic bodily functions, such as breathing, blood pressure, heart rate, digestion and bladder function. When the autonomic nervous system does not work properly, you may see disturbances in vital signs, such as a fast or slow heart rate, as well as changes in bodily processes, such as slowing of digestion. These changes in heart rate can be particularly troubling, as was the case with Ava. We were seeing many symptoms of syncope, which is losing consciousness briefly because not enough blood is reaching the brain. Symptoms can include blacking out, light-headedness, falling, dizziness, sleepiness, disorientation, fainting, and feeling unsteady or weak when standing. 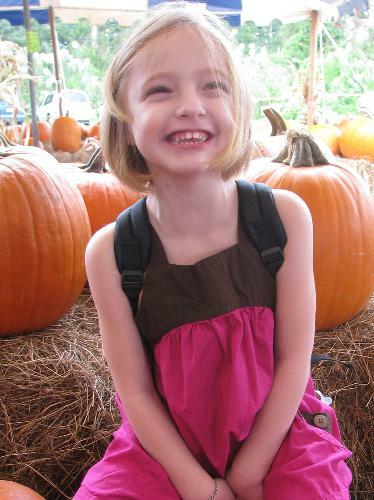 These symptoms were difficult to decipher because falling was part of Ava's "norm." The dizziness and disorientation, however, was new. At first, seizures were suspected instead of cardiac issues. After a normal EEG failed to show seizures, a 24-hour Holter monitor of Ava's heart revealed that her heart rate was dramatically dropping while she was awake, down into the 40s. She was also having 2.5-second sinus pauses in her heart rhythm. Both were extremely abnormal and very dangerous, resulting in periods of time when Ava's heart could not effectively pump oxygenated blood to her brain. A pacemaker to help regulate Ava's heart rate was mentioned initially, but as a "maybe." We never imagined that four months later, after a repeat Holter monitor and 30 days each of both loop and event heart monitoring, we'd be sending Ava in to have a pacemaker surgically implanted. After all, her EKGs and echocardiograms were perfectly NORMAL! She had a perfectly normal heart. The problem was not in the heart itself, but in the brain's regulation of the heart. While there is some debate about the use of pacemakers in autonomic dysfunction, we felt that it was a good choice for Ava, as it was explained to us. In some cases, a pacemaker literally keeps the heart beating. Because Ava is not fully pacemaker-dependent and does not need it to keep her heart beating, it really is there to be more of a back-up generator. It corrects arrhythmias such as her sinus pauses and keeps her heart rate above 70 on its current settings. Every three months, we do a pacer check at home, and the results are sent directly to our cardiologist's office via telephone. They can review the data and let us know if any changes to her settings need to be made. While the surgery to implant the pacemaker itself was difficult for Ava, we feel that the risk was worth it since the pacemaker has given us such peace of mind. We recently received a very reassuring message from our cardiologist, who told us to relax. From a cardiac standpoint, things are perfectly fine. The pacemaker is there when she needs it, and it's our safety net. We can rest assured that the oxygen her body needs is being distributed, and that's a good feeling. Lindsay Knops is the mother of Ava Bella, 4, who has a mitochondrial disease and an amazing sense of humor, along with the cutest smile and best dance moves around. She and her husband, Dave, recently relocated to Boston from Sarasota, Florida, to ensure great health care for Ava. A self-proclaimed "Mom on a Mission," Lindsay enjoys working with the United Mitochondrial Disease Foundation, perfecting her nursing skills, reading and writing, and watching Ava grow and learn. To keep up with Miss Ava, visit her at www.caringbridge.org/visit/avaknops. And, for more information about mitochondrial diseases, please visit the United Mitochondrial Disease Foundation at www.umdf.org.